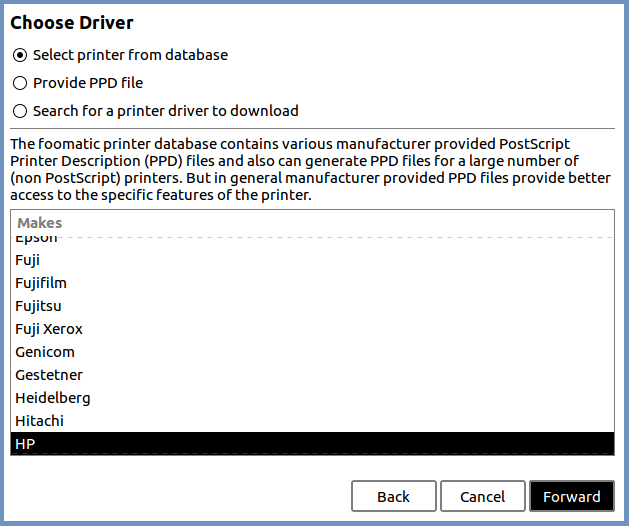 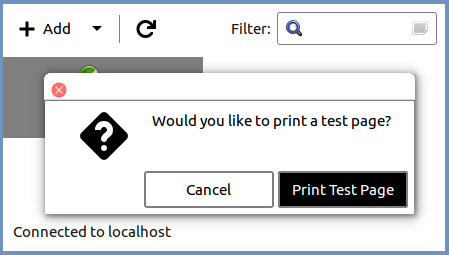 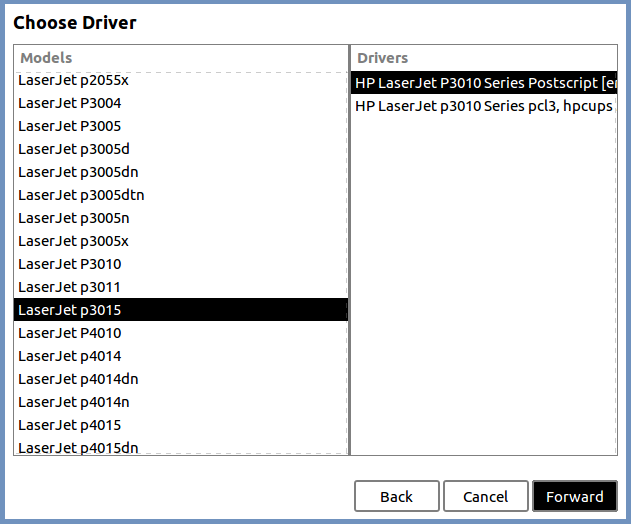 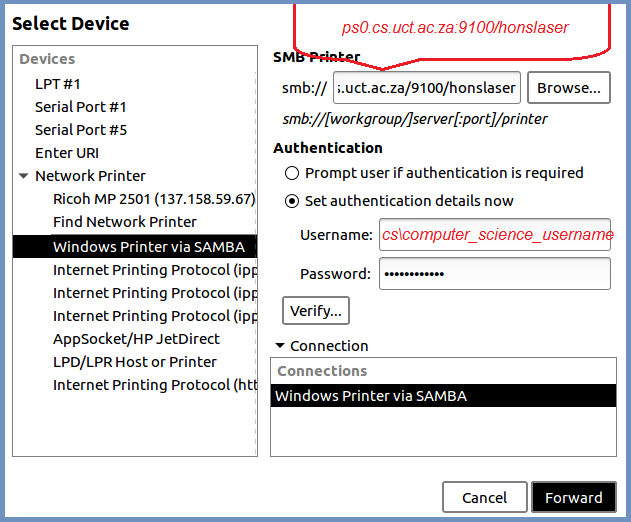 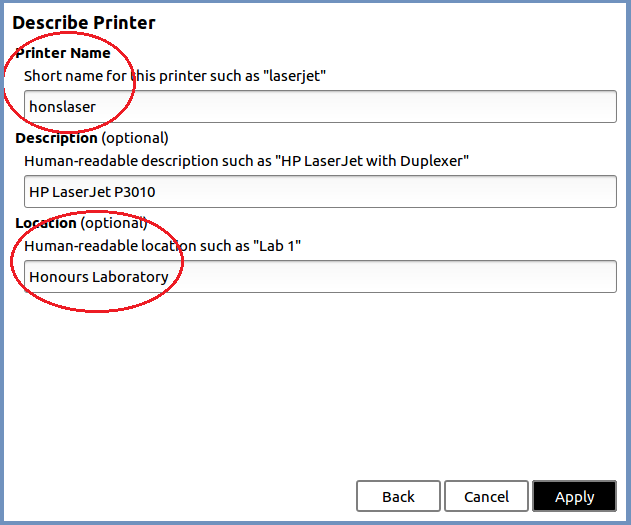 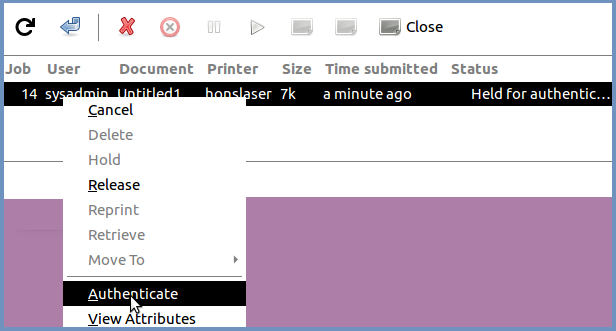 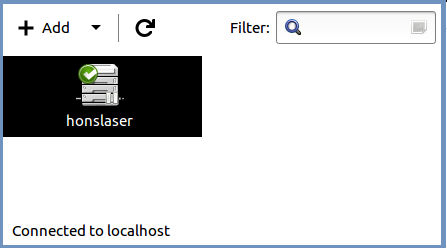 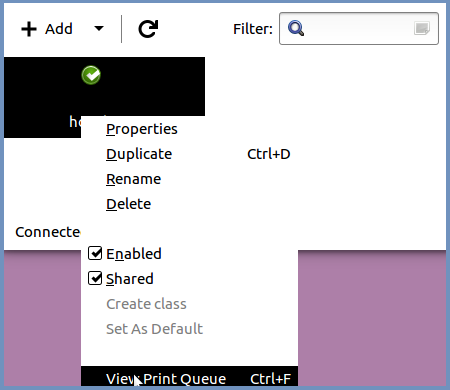 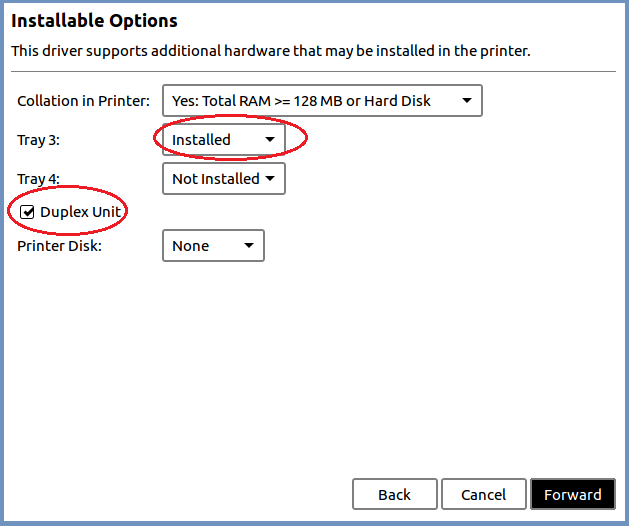 To print from most GUI applications, click the applications Print option and select the "honslaser-via-ps0" from the list of available printers. 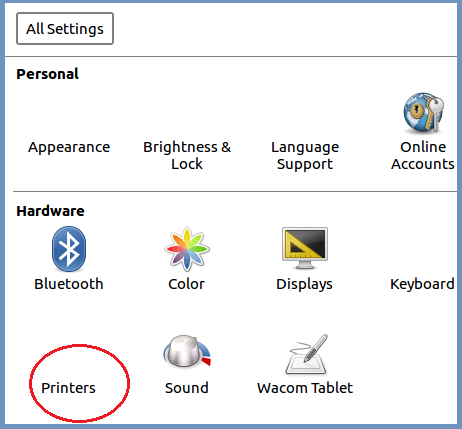 The print job will be placed in the print queue on your workstation, and held until you authenticate it. 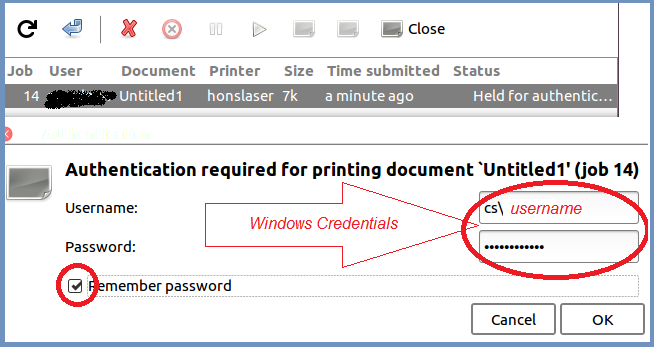 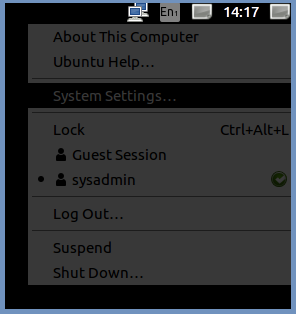 To authenticate it, click System > Administration > Printing. 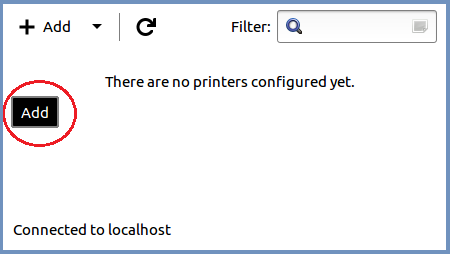 The Printing window listing all of the available printers will be displayed.